A course for young unemployed people has changed the lives of four young people from Southampton. Southampton residents Katie O’Connor 18, Shafi Hamidy and Jordan White both 21, and 25 year old Stephen Rees have successfully completed the ground-breaking Unlocking Potential programme. 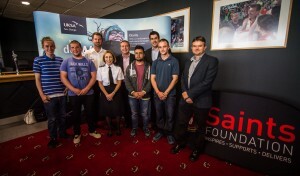 The course gives the students the chance to get their lives back on track following referral by The Saints Foundation and The Society of St James through funding from Hampshire Police. For Hampshire Constabulary their involvement has been to help young people overcome life’s barriers to prevent re-offending. The course allows participants to use on-the-water activities as the catalyst for positive change, giving them the chance to get their lives back on track. As a youth charity, UKSA don’t just provide qualifications but life-changing and life-enhancing opportunities. 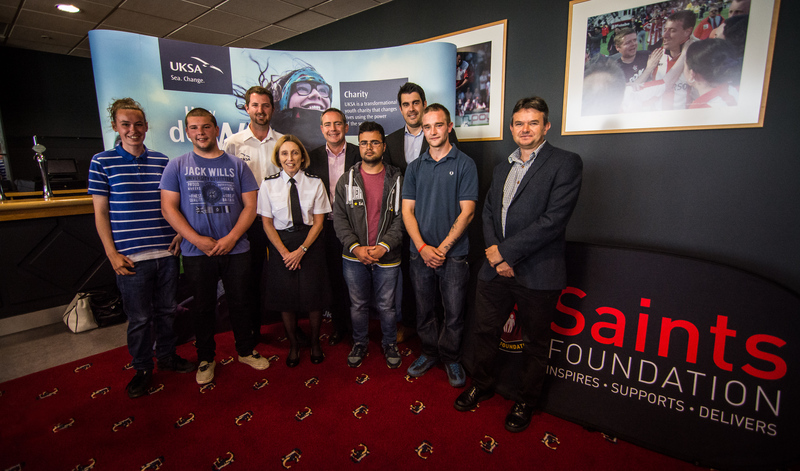 The Unlocking Potential team with their Instructor and programme funders.